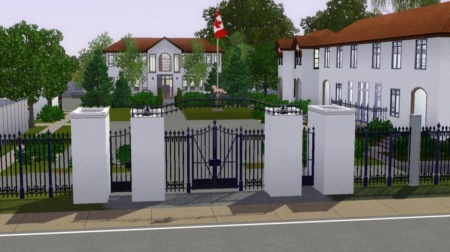 If your buying a home or condo you should definitely be having your offer subject to the satisfaction of a home inspection done by a professional home inspection company, and in particular you should be looking at hiring a home inspection company that utilizes thermal imaging as part of their home inspection. Home inspectors now have a new tool in their arsenal and many home inspectors are now using to show us the things we cannot see with the naked eye. 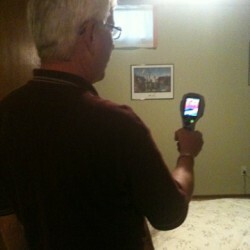 Some of our home inspectors are now using thermal imaging as a powerful tool when inspecting homes. With the use of the thermal imaging device home inspectors can see things such as poor insulation, water damage, improper electrical, covered up heat runs and much more. In the years previous we were not able to see these types of conditions as they were not visible to the naked eye and often went undetected. Buyers need to know what they are buying and this new tool on the market allows buyers the opportunity to better prepare themselves for home ownership and possible repairs in in the worse case potential expensive repairs in the future. Here is a video clip that shows an inspector looking at a home with a thermal camera. The couple in the video suspected that their home was losing heat in their bedroom and as a result the thermal images show the areas that the heat was escaping where there is missing insulation. Although this is a clip from an American News broadcast I thought the clip adequately shows is the benefit and usage of the technology when it comes to using them for home inspections.